November 16-17, 2017, the city of Bishkek hosted the First Central Asian Forum of Art Managers from Kazakhstan, Kyrgyzstan, Uzbekistan and Tajikistan “Creative Industries of Central Asia as an Opportunity for Collaboration.” This is the first professional event of cultural practitioners from Central Asia, which was supported by the Goethe Institute, the Swiss Cooperation Bureau. The partner of the meeting is the National Commission of the Kyrgyz Republic for UNESCO. Representatives of four public organizations took the initiative to hold the meeting: OYOUM group (Kyrgyz Republic), General Director Cholpon Tentieva; NGO “Shodi” (Tajikistan), the founder Karimova Nasiba; OXUS Culture (Uzbekistan), Director Husniddin Ato and PF “Cultural Dialogue”, Director Zhanna Mambetova (Kazakhstan). The first cultural forum aimed to create a network of leaders influencing the development of cultural projects in Central Asia. At the first meeting, 55 cultural leaders representing independent theaters, museums, galleries, festivals from Kazakhstan, Kyrgyzstan, Tajikistan and Uzbekistan gathered to forge partnerships. Representatives of cultural projects talked about the specifics of the development of art management in each country. The forum of art managers was devoted to complex management issues of cultural institutions, including strategic management, digital promotion and fundraising. On the first day guests shared implemented practices with their colleagues. To understand the environment necessary for the development of creative initiatives and determine the priorities in creating financial conditions, infrastructure, personnel the delegates worked out the theses of the Forum. The second day was devoted to the collaboration and development of interdisciplinary and inter-country cultural projects with further implementation, which will promote economic, social and cultural development for the benefit of the entire region. In the Central Asian countries there is a lot of experience in cultural management, but the nearest neighbors know practically nothing about each other’s cultural projects; there is no single information platform that would unite representatives of the cultural community. 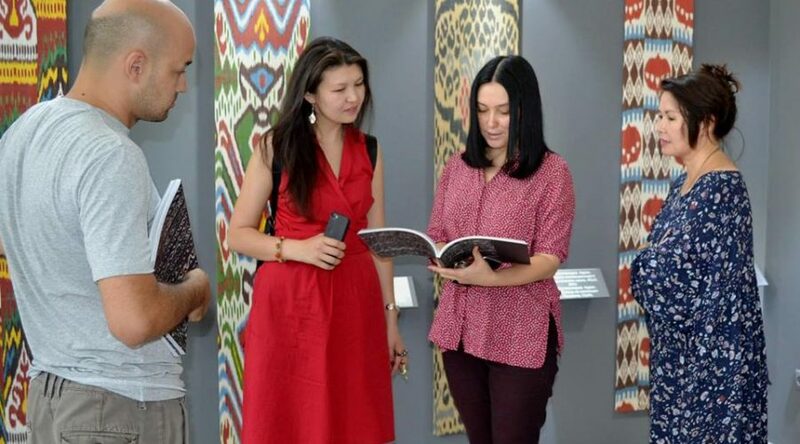 Unifying of art-managers of Central Asia will solve some of the issues. Today, in the region, artists meet with certain obstacles that limit mobility and do not provide broad access to cultural expression and the exchange of cultural goods and services.